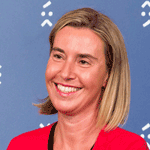 Mogherini, F., Mimica, N. 2016. The European External Investment Plan: An innovative new chapter. 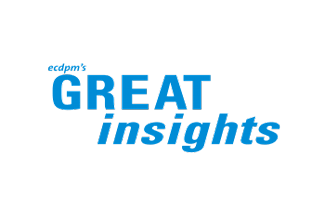 GREAT Insights Magazine - Volume 5, Issue 5. October/November 2016. With the External Investment Plan, the EU is taking its development policy to the next level. As it steps up its financial commitment to sustainable development, it also needs the private sector to get on board. Together with its partners in Africa and its Neighbourhood, they can help their young generations achieve their full potential. This is a decisive moment for Europe and for our region, which calls for innovation, new thinking, and vision. We need to foster internal growth and the wellbeing of our citizens. And we have to cooperate with our neighbouring countries to support their own growth, stability and well-being. Two years ago the European Commission put forward an ambitious Investment Plan for Europe to get our continent back on track mobilising new private investments. Its combination of improved access to finance, guarantees, technical assistance, and measures to create a positive business environment has delivered impressive results. For each euro spent, it is mobilising about €10 in investments. The same innovative approach could benefit our entire neighbourhood immensely. For this reason we are now proposing a European External Investment Plan. With this new Plan, we are implementing commitments taken by the international community on Financing for Development and with the global Agenda 2030 for Sustainable Development. In Addis Ababa and in New York we collectively agreed to boost productivity, inclusive growth and job creation in full respect of human and social rights, the environment, and the preferences of partner countries and local communities. If we look at regions like the Horn of Africa, the Sahel or the Great Lakes, we see the huge socio-economic potential being hampered by war, poverty, lack of infrastructure, and weak governance. The Sahel is an area of strong and ancient traditions, where skilled and educated young people can make the difference: they just need the opportunity to show what they are worth. The Great Lakes are incredibly rich in natural resources, but the risk of investing is often perceived as too high. The Horn of Africa is becoming one of the continent’s most integrated regions, with hundreds of thousands of Micro, Small and Medium Enterprises (MSMEs) as engines of growth: it is an expanding market, but money still does not flow there. Millions of Africans are looking for opportunities to improve their lives, or are forced to escape from conflicts, insecurity, or natural disasters. In their quest, many of them risk their lives in dangerous journeys towards Europe. Others become the targets of propaganda from terrorist groups and criminal networks. The European Union is already the first donor and investor in Africa. During all our visits to the continent, governments, entrepreneurs and NGOs testify the great impact of our investments, and the need to step up our partnership. Through the External Investment Plan, Europe is offering its experience and support to Africa to fulfil its potential, ensuring continued political and policy dialogue, ownership of the strategies and the promotion of universal values, whilst stimulating the local economy. It can be a cornerstone towards a successful EU-Africa Summit in 2017. When we say “Europe”, we do not just mean European and national institutions. Alongside local firms, European firms are already employing hundreds of thousands of people in Africa, providing many young people with an opportunity to flourish in their home country, and contributing to addressing one of the root causes of migration. These investments can contribute to our foreign and development policy objectives, such as stability and poverty eradication. But private initiatives can only thrive in a safe environment, where the opportunities outweigh the risks. This applies to companies of all sizes, but particularly to small and micro enterprises, as well as young and female entrepreneurs. This is why Europe is stepping in. The External Investment Plan aims to leverage at least €44 billion in investments in Africa and the EU’s Neighbourhood, in those areas where private investment otherwise would not go. This amount could be doubled to €88 billion if Member States and other institutions contribute. The new European Fund for Sustainable Development will facilitate private investments through access to finance and through risk-sharing. Private investors will benefit from a guarantee against the risk of starting a business outside Europe. This guarantee will not only promote single projects, but also larger portfolios of investments under “investment windows” in strategic regions or sectors. A “one stop shop” will encourage private and institutional investors such as development banks, from both Europe and our partner countries, to channel their proposals to specific investment windows. It will put companies with a project in touch with potential partners, and will give information on the existing incentives. The External Investment Plan will provide technical assistance to enhance the quality, the number, and the sustainability of projects. The European Commission, the European Investment Bank and other international financial institutions – with the specialised advice of independent experts – will work hand in hand to deliver a swift and business-oriented screening of projects. Investments will be accompanied by policy dialogues and capacity building activities: our action will be coordinated and joined-up, in the spirit of our Global Strategy for Foreign and Security Policy. We are not only a donor – the largest together with our Member States – but more importantly we are a political partner. With the External Investment Plan, we are taking our development policy to the next level. Grants are central, but not enough to deliver the transformation we have agreed to under the Sustainable Development Goals. Development policy is not exclusively about Official Development Assistance. As we step up our financial commitment to sustainable development, we also need the private sector to get on board. Together with our partners in Africa and our Neighbourhood, we can help their young generations achieve their full potential. A new chapter in European development policy has just begun. Federica Mogherini (left) is the European Union High Representative and Vice-President of the European Commission. 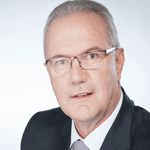 Neven Mimica (right) is the EU Commissioner for International Cooperation and Development.